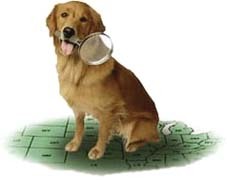 Our Golden Champions of Rescue are an incredibly hard-working bunch, a multitude of organizations covering the entire U.S. On our map as your mouse moves over a state, the group's name will appear. Do go slowly as some states have several rescues covering very distinct areas. Every rescue group does not appear on our map due to some covering several states and areas. However, every rescue contact and group, along with their serviced territory, is provided below in our alphabetically listed state listings. Golden Retriever Rescue organizations in Canada are also included. Homeward Bound Rescue and Sanctuary Inc.
Norcal Golden Retriever Rescue Inc.
G.R.E.A.T. (Golden Retriever Emergency Assistance Team) of Northeast Florida Inc.
Gulf Coast Golden Retriever Rescue, Inc.
Gulf South Golden Retriever Rescue, Inc.
Golden Retriever Rescue of Southern Maryland, Inc.
GoldHeart Golden Retriever Rescue, Inc.
Gateway Golden Retriever Rescue, Inc.
Triad Golden Retriever Rescue, Inc.
Golden Retriever Rescue Resource, Inc. Sooner Golden Retriever Rescue Inc.
Delaware Valley Golden Retriever Rescue, Inc.
Golden Retriever Rescue Education and Training, Inc.
Golden Retriever Rescue of Central Pennsylvania, Inc.
Grand Strand Golden Retriever Rescue, Inc.
Middle Tennessee Golden Retriever Rescue, Inc.
Golden Beginnings of Texas, Inc.
Golden Retriever Acres Senior Sanctuary, Inc.